The Truth About Holiday Traditions. It’s pretty simple actually, it just took me a little while to figure it out. We have a small family here in Canada. In fact, there is only my parents, siblings and my kids. We are a close unit, we talk practically every day and see each other as often as we can. Back home in El Salvador, we have a big family. My Abuelita from my Mom’s side had 11 children and they’ve all had their own children and even great grand babies at this point. We also have family in the US and Australia, but we are the only ones out here in Canada. Even though we are small in number here, we are very close. The holidays are a time when we all get together and just spend time together. We eat our favorite meals, watch movies and just talk sometimes. The holiday celebrations are grand in our country, full of music, good food and drink and even fireworks. The parties are filled with family and run until really late. Back home here in Canada, things aren’t as grand, but they are just as loud and filled with love and family. I have very fond memories of our holidays. Even down to our first Christmas here in Canada. Our parents moved us here with just 3 large suitcases and a dream for a brighter future for their kids. Our first Christmas was a memorable one due to the kindness of our Canadian sponsors. They brought over gifts, decorations and food, and made us feel welcome. Every year after that, we celebrated with much gratitude. I knew that my Mom would be preparing the house for friends and family to enjoy the holidays when I could smell the crisp and clean aroma of Pine-Sol permeating our house; I just knew that in a few hours’ times we would be eating a good meal and having a blast. The smell itself evokes the feeling of happiness and the comfort of cleanliness. I remember coming home from school to that familiar scent and breathing it in made me smile. I can still hear her asking one of us to get her the “Pine-Sol” in her Spanish accent. Actually, I say it in the same accent because that’s how it’s always been said in our house. That piny scent is the reason why I use it myself in our home and lo and behold–my girls love how Pine-Sol smells. When I’m getting the house clean and guest-ready for the holidays, you can guess what the house smells like. Now they know that in a few hours they will be with family and with their tummies filled. Apart from my Mom passing down the cleaning gene to both my sister and I, we also have some traditions from back home that we do with our girls. Of course, we decorate our tree together and every year the girls take turns putting up the star. We always leave carrots for the reindeer and cookies and egg nog for old Saint Nick. 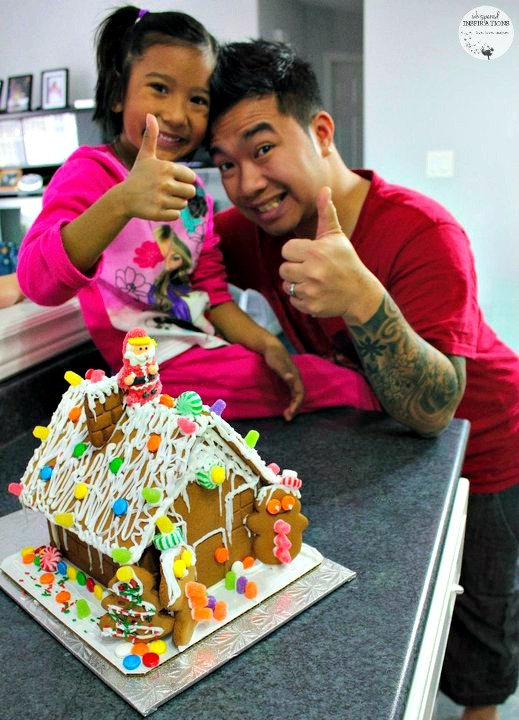 We decorate a gingerbread house every year too and the girls absolutely love it. A tradition that I have passed on to the girls from my own childhood is a Spanish tradition of opening a gift on Christmas Eve and in the morning they will find a gift under their beds. It’s an ode to how we received our gifts from Santa Claus in El Salvador. One thing that we have started on our own is collecting Christmas ornaments. Ornaments that celebrate important milestones, others that evoke memories of where we have travelled. The truth about the holidays is that they are all about family and the traditions in which we partake in together. It doesn’t matter if you have a small family or a huge family with a crazy Uncle Fred. Whether you are near or far–one thing is the same. It’s the love we all share and the memories we cherish fondly, the traditions we partake in and the new ones we create. 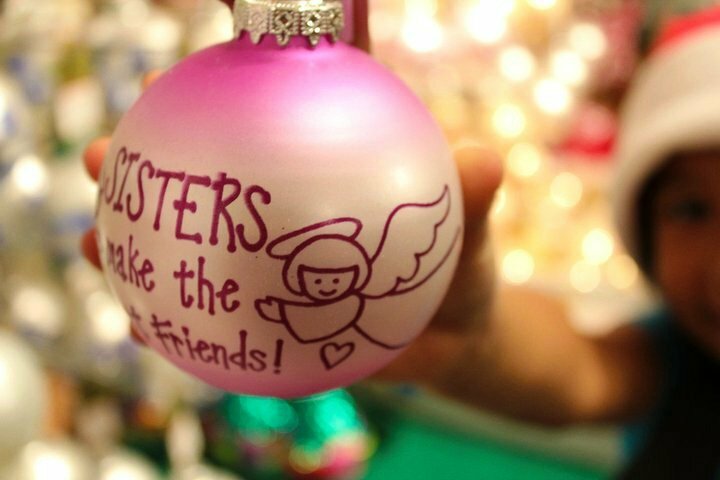 What are your family traditions during the holidays? This post is sponsored by Pine-Sol. With a strong heritage and long legacy, Pine-Sol is a long-standing tradition in many Canadian homes. Apart from the classic pine scent, Pine-Sol is also available in a variety of long-lasting scents – mandarin sunrise, lavender, lemon and sparkling wave. You can use different scents throughout your home to change the mood. Previous Post: « Join Us For Tips On How to Teach Your Kids About Money at the #FinanciallyFit Twitter Chat on November 17th! I love to listen to Christmas music with my husband while we put up the tree. We also watch a lot of Christmas specials. Oh, us too! I love even the cheesy ones! And ready for the holidays! What fun traditions! I love making gingerbread houses and white elephant gift exchanges! Can't wait for Christmas to get here! I love Christmas. We also open a gift Christmas Eve. And when we are setting up the tree we have Christmas music playing in the background. Usually every year while putting up our tree we listen to Christmas songs and drink hot chocolate. This year we didn't do that, and I feel so bad about it! Aww, do not feel bad! Our family traditions for the holidays include, making cinnamon rolls for christmas morning, decorating the house and listening to christmas tunes. Pine Sol just smells like clean to me! I grew up smelling it all the time! Ahh, I love the smell! We always have a few hours of board games after the big meal. White elephant gifts usually happen before everyone goes home. 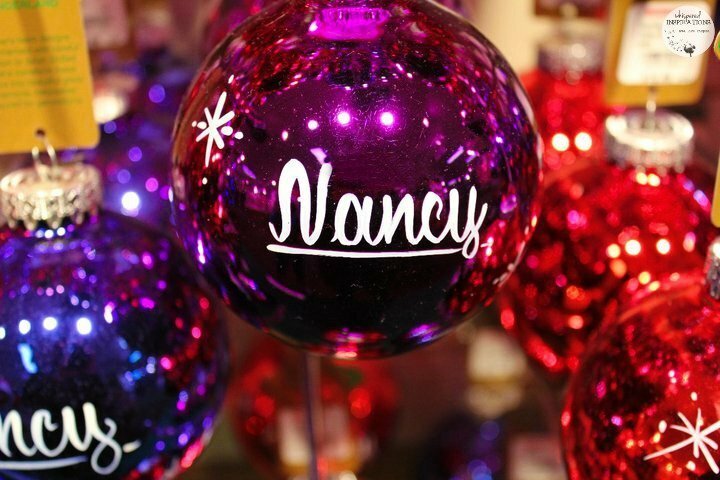 The kids always get new ornaments with their names and what they are into that year. We also love to watch Elf and Polar Express together! Elf is our favorite movie! I love traditions. Most of our traditions are about coming together as family too. We have a lot of traditions. Like putting the tree up Thanksgiving weekend and certain movies we watch every year. Those are the best times! My family loves chirstmas movies! Each year, my kids have to pick out a new ornament for our tree. It is crazy how scents can evoke memories and emotions. The smell of fresh donuts always reminds me of my dad making donuts before the holidays. Aww, that is so sweet. 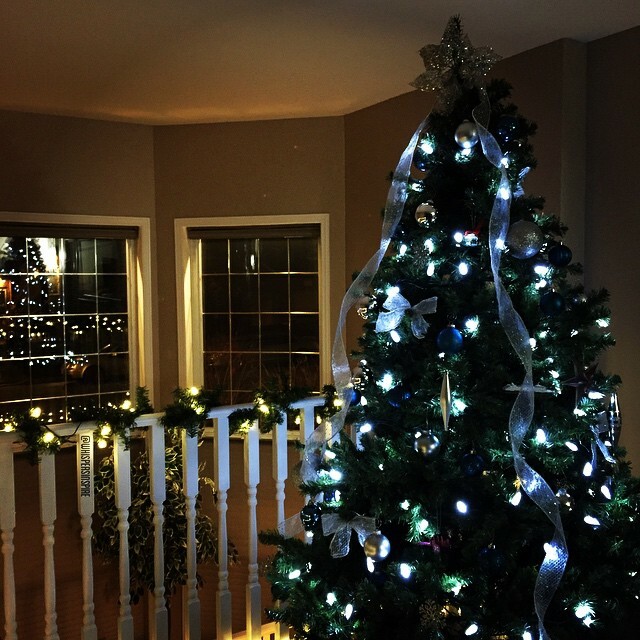 This year will be 8 years that we have been blessed with grandkids have decorated our tree as they wish,they are now 9/10.every year brings new ideas and amazing memories. We almost have the same traditions. Our Christmas eve is spent at home. On Christmas Day, we wake up early to open what Santa has brought the kids. We have lunch at my in laws and dinner with my dad and mom. Holiday traditions are fun to carry on to your own kids when you become a parent. It's also equally cool to create new traditions for your children to pass on to their own families one day. Love the gingerbread house, that looks amazing! The smell of Pine-Sol is the best smell in the world – lol – it always reminds me of my mom's home and nothing smells as clean as that old, familiar smell. I love reading about all the different holiday traditions. How lovely it is to hear about your Christmas traditions. I am very close to my family too and love spending time at the holidays with them. We love this time of year. We always listen to Christmas music while decorating the tree or doing a Christmas craft. We started doing DIY ornaments with the kids this year- they love that! we have a Christmas eve gift tradition too but that's so cool you hide it under their bed. I never knew that's where Santa leaves gifts in El Salvador! Yes, we always did it that way! Your tree is gorgeous, and you guys did a fantastic job on the gingerbread house. How cute! I've always loved the way pine sol smells! It's my first choice over the others. Mine too. Brings back so many memories. We always watch a family movie on Christmas eve, and order Chinese food. We let the kids open one gift and on Christmas day while the kids are off in their rooms playing with their toys my hubs and I enjoy a nice quiet movie while we cook dinner! Aww, I love your Christmas Eve. You have some great family traditions here! We also collect Christmas ornaments – we are big theatre fans so we try to pick them up at shows! OMG, that would be amazing and what a great tradition. I have one of those giant bottles of pinesol from Sam's Club, man it lasts forever if you use it right! That gingerbread house looks amazing! Thanks! It really does smell amazing. Awww so cute! I love the holidays!!! I love holiday traditions. Ours still get changes, or revamped here and there but I try to stick with them as much as possible! I have loved reading everyone else fun Christmas Traditions! I love the holidays! Growing up our biggest Christmas tradition was my grandpa would read me “twas the night before Christmas” and then I would go to sleep and Santa would decorate the tree. I can’t wait to start traditions like that with my own kid when he gets a little older. What a lovely tradition, thanks for sharing! My kids open new pajamas on Christmas Eve that they then get to wear for opening gifts on Christmas morning. We also love driving around at night to look at Christmas lights! Oh, that is so fun! I love collecting ornaments too. My grandmother gave us one each year with the year on it so I've got quite a collection from my early years that are very special to me. Wow, those are definitely memorable! I am loving your tree and that gingerbread house is so cute! I love using Pine sol. It's always my first choice.